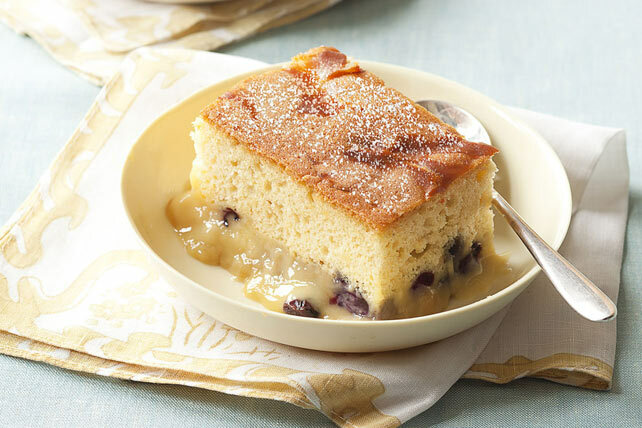 This moist pudding cake goes from oven to table. As it bakes, the cake rises to the top creating layers of moist cake and saucy pudding! Bake 1 hour to 1 hour 5 min. or until toothpick inserted in centre of cake comes out clean. Cool 20 min. (Sauce will thicken slightly as it cools.) Sprinkle with icing sugar. Serve warm.